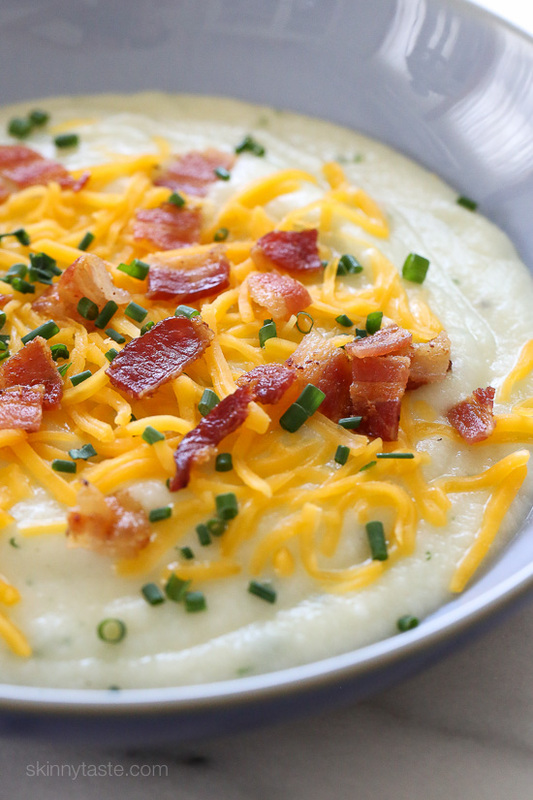 A loaded baked potato soup is rich and creamy, but its high caloric value might be a turnoff for people who are watching their figure. 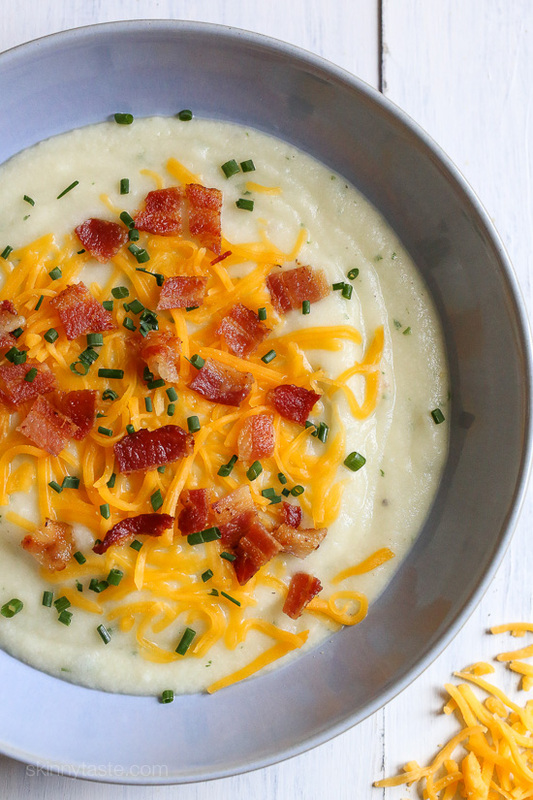 You don’t have to forgo this tasty soup any longer, thanks to this awesome recipe that scales back on the amount of potatoes needed and uses cauliflower as that extra filler. The soup still has the texture that you’d expect along with that great baked potato taste. You’ll be amazed by how good this low-calorie meal is. Pierce potatoes with a fork; microwave on high for 5 minutes turn over and microwave another 3 – 5 minutes, until tender. Or if you prefer to use your oven, bake at 400 degrees for 1 hour or until tender. Cool. Peel potatoes. Meanwhile, steam cauliflower with water in a large covered pot until tender. Drain and return to pot. On medium heat, add chicken broth, milk, potatoes and bring to a boil. Remove from heat. Ladle 1 cup of soup into each bowl. 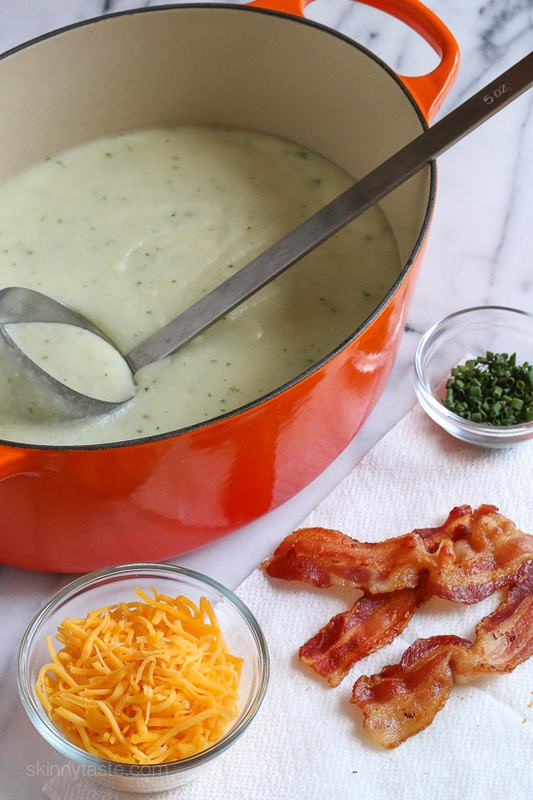 Top each serving with 2 tablespoons of cheese, remaining chives and bacon.